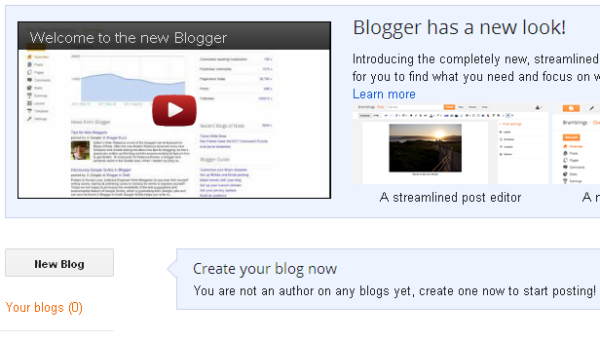 Blogger is one of the best free blog publishing service provided by Google, for people to share text, photos and videos. It supports about 50 languages, and is used by millions of bloggers around the world. 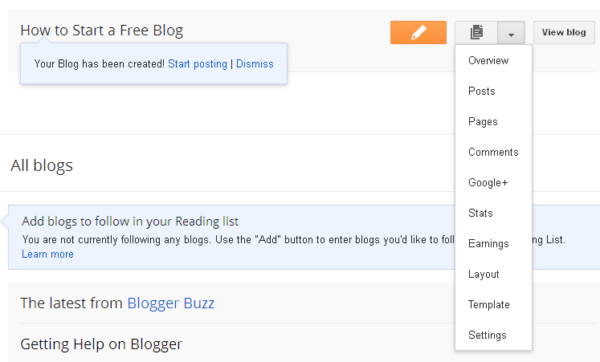 Why Blogger is the best free Blogging platform? See my previous post for details. A blog on Blogger can be set up in 5 minutes. Here's a step by step guide on how to make a free blog on Blogger.com, for those who is looking for creating a blog for the first time. 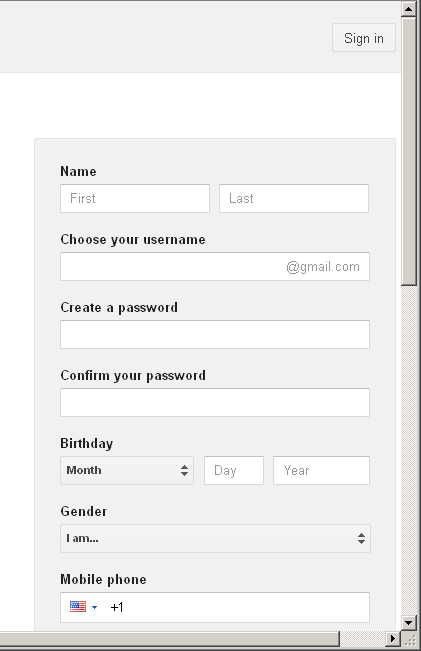 If you already have a Google account (Gmail), you can login by using your existing Gmail account. If you choose this option, login first, then go to step 3. 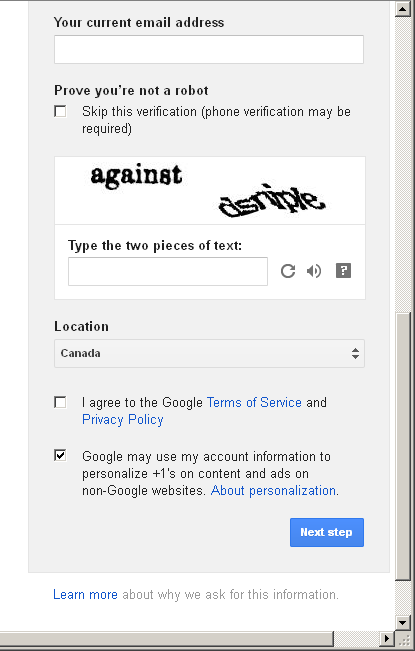 You will see following form for registering a new Google account. 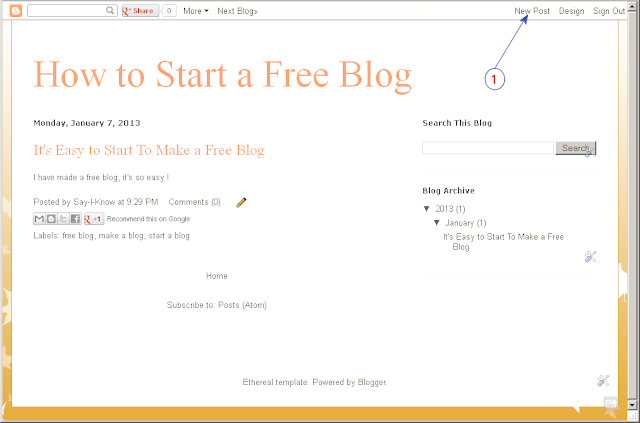 When you see above screen, click on New Blog button at the left to start to create a new blog. 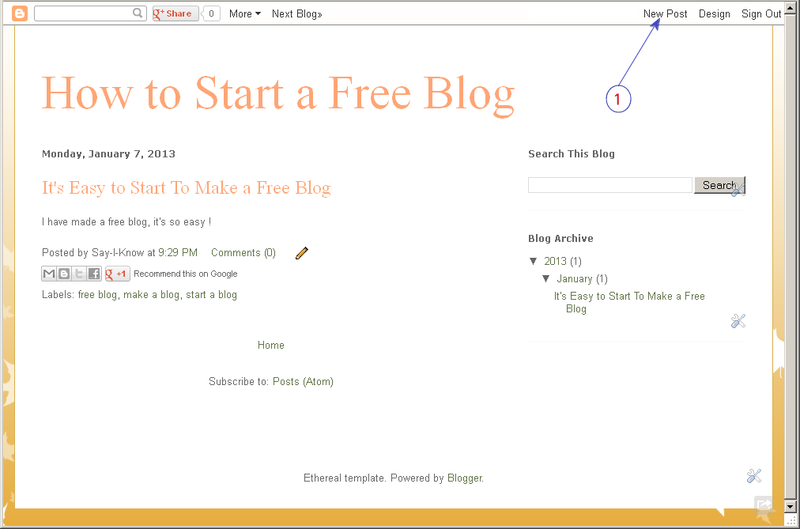 Because it's the first that you create a blog, so you see "Your Blogs (0) " at the left corner. 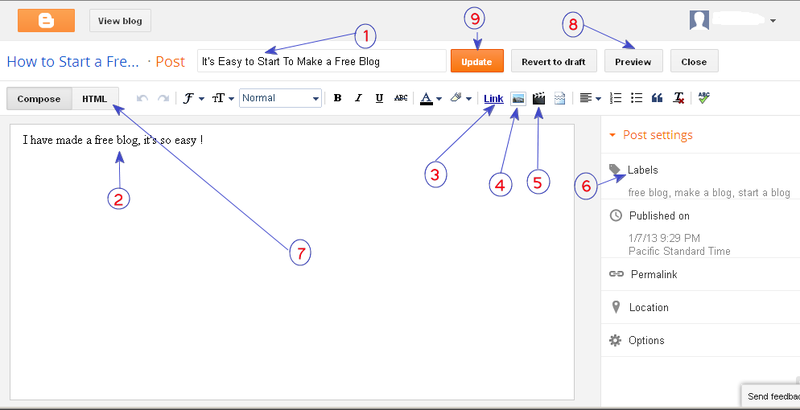 Once your blog is created, it will change to "Your blogs (1)". You can create more than one blogs in one Google account. 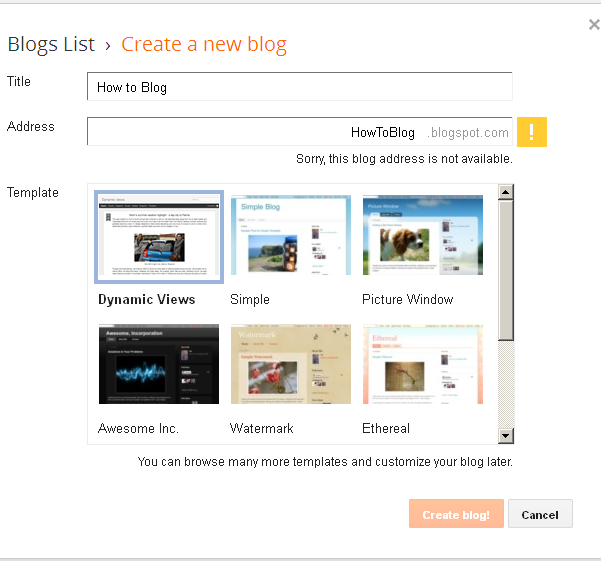 Type in your Blog Title and the blog address you'd like to use, then choose a blog template. In my case, I use "how to blog" as title, and trying to use HowToBlog.blogspot.com as blog address, it shows "Sorry, this blog address is not available"- that means, the address is used by someone, I have to pick another address. The final address I got was http://start-a-free-blog.blogspot.com/, and the blog title I used was "How to Start a Free Blog". On both the blog title and address is Ok, click on Create Blog ! button at the bottom of the page. Click on the down arrow beside the yellow pen icon at the right corner. Because you do not have any posts yet, so there's no post listed. Click on the orange New Post button at the left to create a new post. You come to the post editor, from here, you can create your first post with text, music, videos inside. (9) If you sure the post is good to be published, click on Publish (for first time) or Update (for 2nd time) to make it published to the public ! Once the post published, it will go back to your blog dashboard as in below. 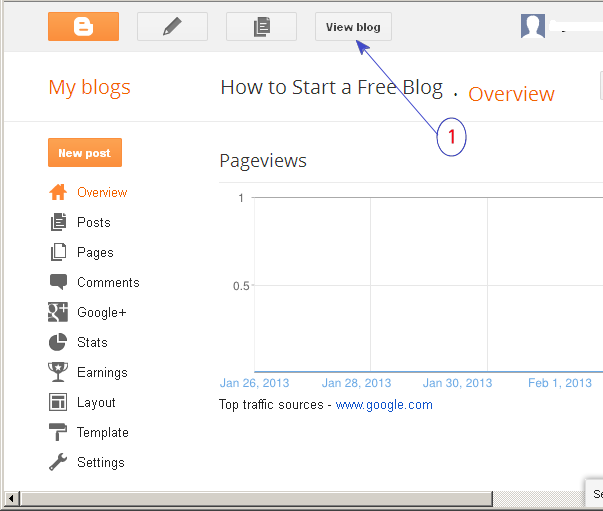 Click on View Blog button at the top to see your blog as other internet visitors. 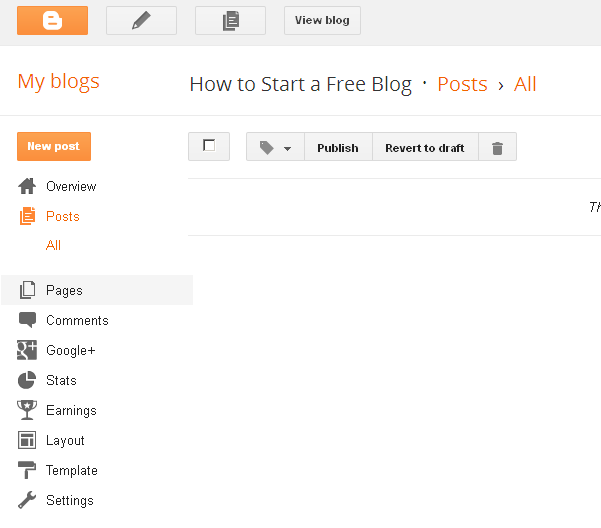 Above screen shows how your blog is look like, with only one post. You can click on New Post at the top right corner of the page to go back to the post editor to compose another post ! Congratulations ! You get your Blogger blog up running and the first post published ! This blog is built on Blogger- it's an example for you to see how a blog on blogger can be customized and how it can be looked like. Yon can completely customize your Blogger blog's template, the layout, the color, fonts and everything you want in later any time. 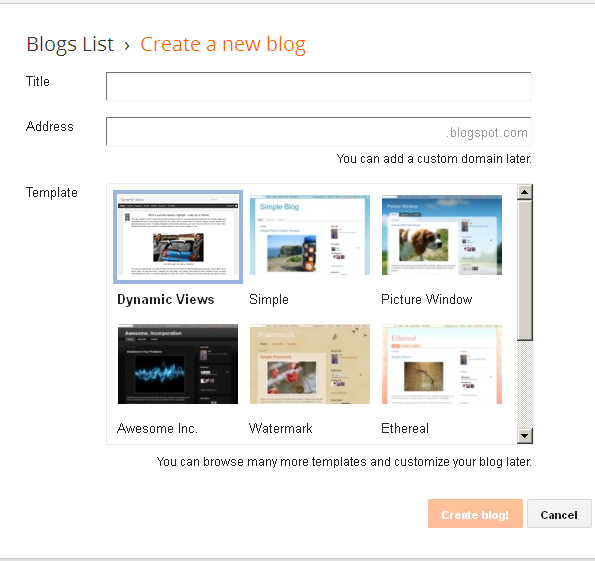 I will have more posts come out to cove the topics of customization for Blogger. What's the Difference Between Post and Page in Blogger and Wordpress ?